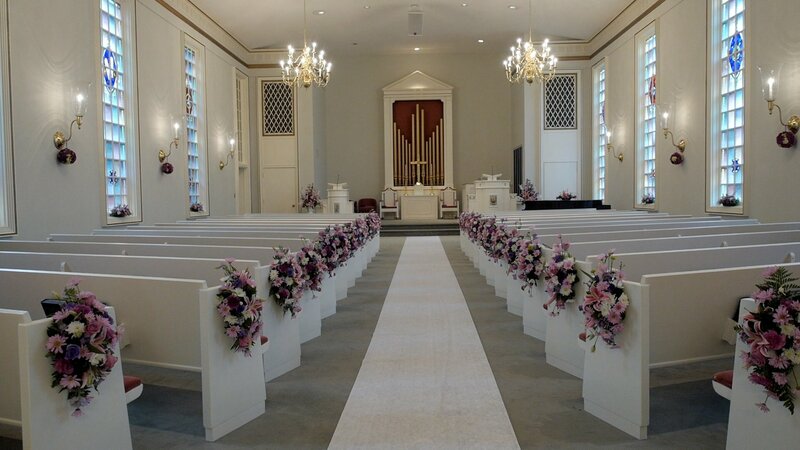 Shayna and Andrew were married in the beautiful Temple Beth El in Charlotte, NC. Their Charlotte wedding video was a blast to capture and put together in a fun cinematic way. Shayna and Andrew had all the makings of a traditional Jewish wedding, and we are excited to say that they are our first Jewish couple! Shayna prepped for her wedding day at her childhood home, along with her bridesmaids and family. We were so happy to see the love between Shayna and her mom on her big day. 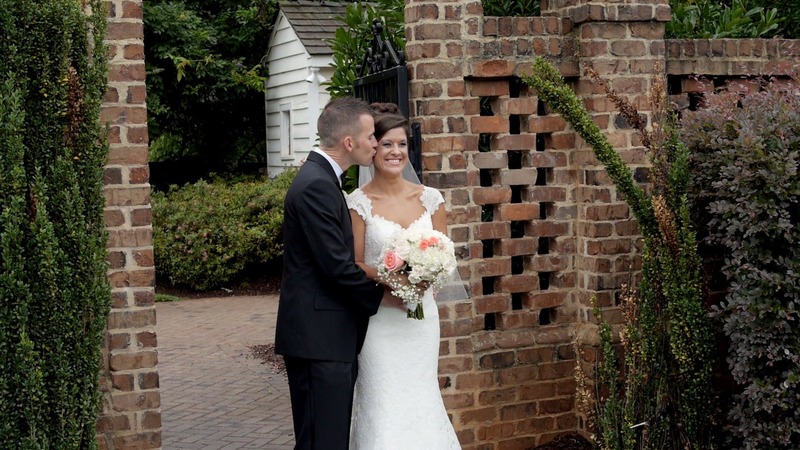 Everything from hair, makeup and putting on the dress happened at her home. After preparations, our Charlotte wedding video team got the pleasure of riding in a limo all the way to the temple. Per usual, the groom was ready in under 30 minutes flat and already awaiting the bride for their first look. Shayna and Andrew spent a few moments together soaking in the moment and making plans for the rest of their big day. Up ahead were a couple of different Jewish ceremonies, and an amazing party to follow. 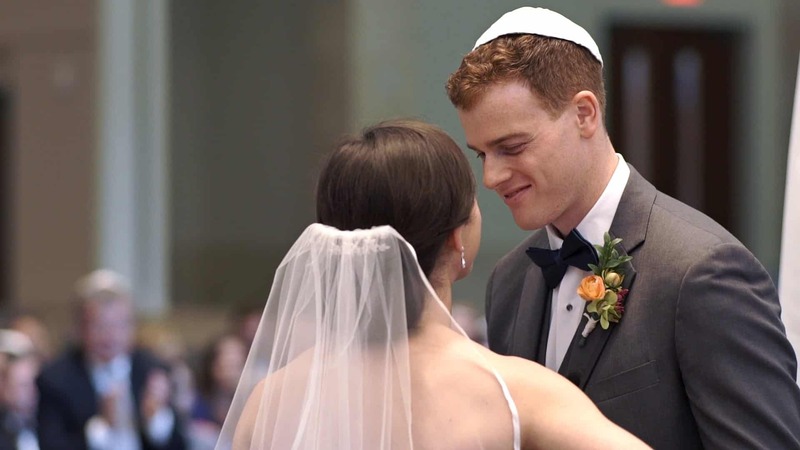 Our Charlotte wedding video team was able to experience all the magic of a traditional Jewish ceremony and reception. We honestly felt a part of the family! LaCa Projects hosted their reception, and it was a dream space for a wedding reception! Beautiful art hung on the wall for great conversations, an amazing band got the party started and we couldn’t get over the industrial feel of this space. This was our first LaCa Projects wedding video, and we can’t wait to return. The party seemed to never slow down, and we were able to capture all the fun of the traditional Jewish Hora dance. Shayna and Andrew were not spared during the Hora and were thrown up and up as fast as the crowd could manage. Just watch their expressions!! Again, we had an amazing time at Shayna and Andrew’s wedding, and we couldn’t be more excited to share their highlight film with you all. 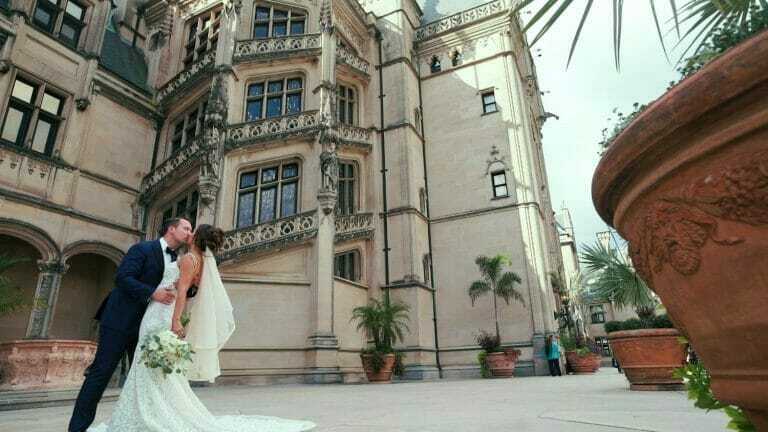 This Charlotte wedding video is one for the books! Mazel tov Shayna and Andrew!